It’s a truism that just about everything is cyclical; eventually it all comes back into fashion, or history, or politics, or interest in who created the cosmos and what is there. Revival, recycling, regeneration: it’s a law of living. So I am not at all surprised at the new societal passion — in the midst of abundant visual imagery that has overwhelmed entertainment, merchandising, and education — for audio learning and entertainment, for audio books. Now once again, there is a thirst for hearing, for listening. Once again, individual imagination can exercise itself to see what isn’t there. Audio allows its audience to focus on the presentation to a greater extent, I believe, than when everything right in front of our eyes on a television or computer screen. Television came to Canada (where I was born and lived most of my life) later than it did in the U.S. Up until then radio had been king, with the Canadian Broadcasting Company (CBC) the only national radio (with lots of local affiliates) heard across Canada. Everyone everywhere in Canada listened to the well-articulated, well-researched national news. In fact, the reliability of the C.B.C. was a source of national pride, a Canadian icon like the Mounties or the national railroad that connected the Western reaches of Canada with the Eastern ones. From sea to shining sea. The radio scripts were all accompanied by an organist live in the studio. Buddy Payne (who kindly played liturgical music at my wedding) led us musically from scene to scene, fading in the music for narrations and fading it out during the subsequent scene, or providing dramatic highlights to the script. 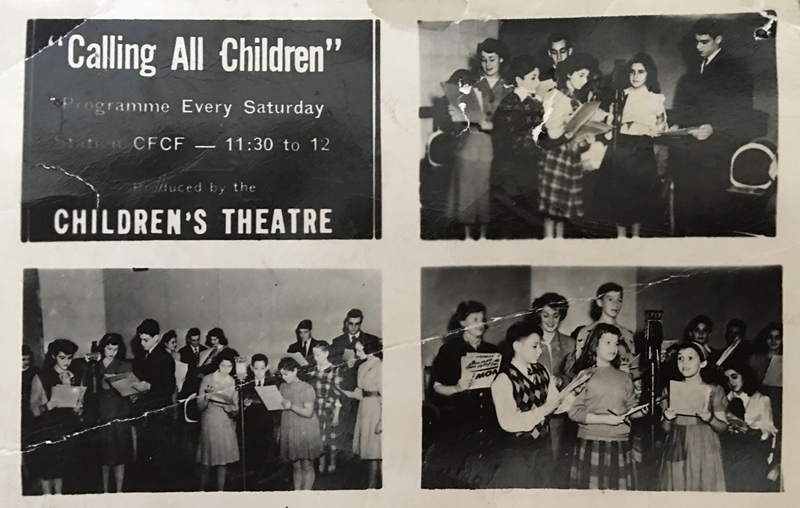 For special radio productions – like “CBC Wednesday Night,” a much-listened to weekly show that produced quality scripts (more often from Toronto than Montreal) – a full, live orchestra accompanied the actors in the studio. What a great time we actors had with the fun-loving musicians in the CBC lounge we shared before the show! But my radio and theatrical (I was active in local theatre too) career came to an end as, to our joyful surprise, my husband and I produced identical twins to augment the two young kids under five years old we already had. Wow, four kids under five! Acting had to take a back seat. 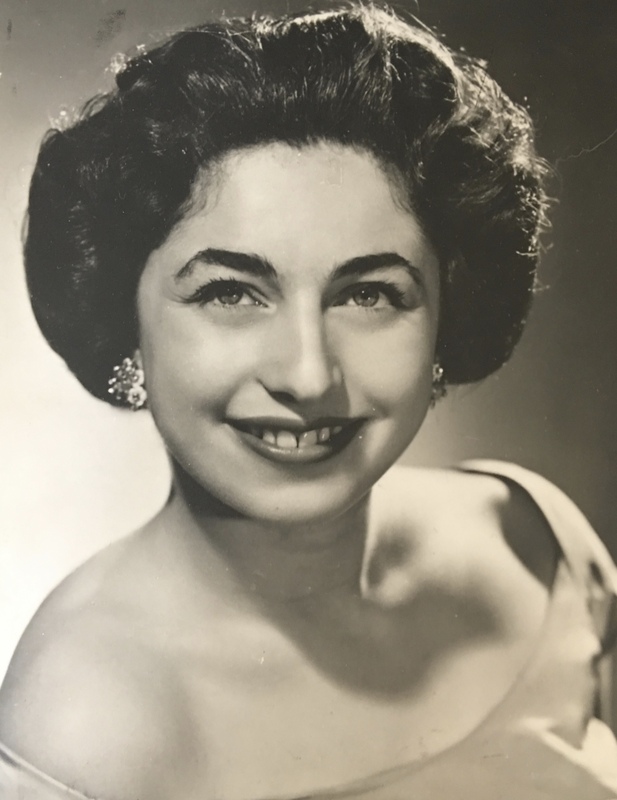 Completely immersed in a joyful motherhood, I “retired” from show biz at 28 — for the first time. Radio would soon give way to television anyway, almost fading into the history books as visual entertainment and learning took over. Who knew that one day, so many years, and so many wide-ranging experiences later, I would become a rabbi, and that theatre experience is very useful in preparing and giving sermons? In 5778, I wrote a D’var Torah for each weekly parsha and published them all on my website (www.rabbicorinne.com), where they can be individually accessed under the heading “D’var Torah”. You’ll find it on the home page’s sidebar. In 5779, I plan to record these Torah commentaries as podcasts for, as they used to say in old-time radio, “your listening pleasure.” It was bound to happen. It’s cyclical, right? And people like to feel connected. So much of life in Los Angeles and other large cities is spent feeling isolated, non-productive, wasteful of time – on highways and congested streets. You can’t look at a screen and drive. The folly of text messaging has taught us that. So listening to something worthwhile, something ofyour choice, perhaps educational, or funny, or just plain entertaining reduces the tension of “getting there.” It can also be a motivational experience. Listening provides a space for thinking new thoughts. As the Torah – originally taught orally and only written down much later — instructs us, “Shema!” Listen. Listen and do good things. ©️Corinne Copnick, Los Angeles, 2018. All rights reserved.